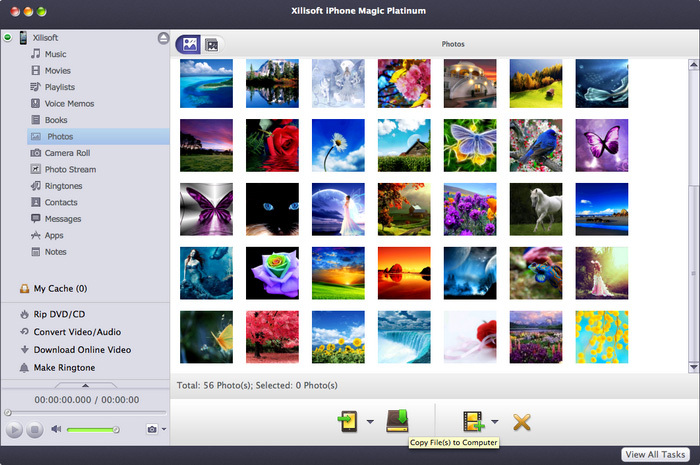 Once with Xilisoft iPhone Magic for Mac, iPhone/iPad management on Mac becomes much easier than ever before. It makes it possible to backup, transfer and manage iPhone/iPad music, movie, books, photos, apps, contacts, messages, iPhone ringtone, etc. 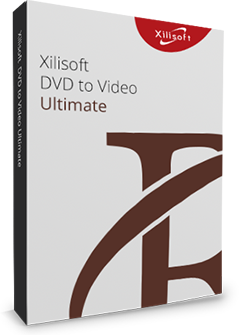 Xilisoft iPhone Magic for Mac enlarges your media file resource. 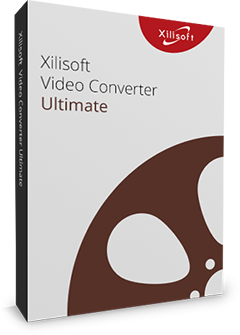 It can just convert and transfer CD/DVD movies/video/audio formats to iPhone directly, and download online videos to iPhone, and make persinal iPhone ringtone from videos/audios. Add movies, music and photos on Mac to iPhone just like iTunes but easier than iTunes. Besides iPhone supported video/audio files, this iPhone manager can directly transfer almost all other popular video/audio files to iPhone. 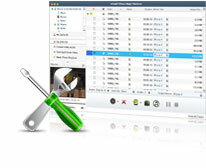 Convert DVD movies, DVD folder or ISO files like a DVD to iPhone converter and transfer them to iPhone in a single step. Download interesting videos from most popular online video websites, convert them to iPhone supported files and transfer to the device or iTunes easily. Create iPhone ringtones from video/audio files in various formats and then transfer them to iPhone instantly. Easily and fast backup iPhone music, movies photos and playlist to your Mac with the iPhone copy tool. Videos and photos recorded by iPhone can be read and exported now! Copy iPhone music, movies and photos from iPhone to iTunes library to manage your multimedia library easily. Support all iPhone/iPad types: iPad, iPad 2, iPad 3, iPad 4, iPad mini, iPad mini 2, iPad mini 3, iPad mini 4, iPad Air, iPad Air 2, iPad Pro (12.9/9.7/10.5 inch), iPod, nano (5th Gen), iPod mini, iPod shuffle, iPod classic, iPod touch, iPod touch 4, iPod touch 5, iPod touch 6, iPhone, iPhone 3G/3GS, iPhone 4, iPhone 5/5S/5C/SE, iPhone 6/6 Plus, iPhone 6S/6S Plus, iPhone 7/7 Plus, iPhone 8/8 Plus, iPhone X, iPhone XS, iPhone XS Max, iPhone XR. This iPhone Magic software recognizes your iPhone automatically and show you its device info including picture, type, capacity, version, etc. With the help of the built-in web browser, you can logon favorite online video websites and have a browse directly, easy and fast. You can configure the network according to actual need, HTTP and SOCKS 5 types are optional. Manage playlists; create photo albums; edit music ID3 tag; search iPhone files; play iPhone files; etc. You are enabled to transfer files via Wi-Fi. It's convenient to transfer apps between Mac and iPhone, with this software, you can also manage documents for some apps. It is possible to connect multiple iOS devices at one time and manage files with ease. Manage pictures into photo albums which you can create, delete and edit to your preference. Transfer fancied iPhone ringtones and wanted books in PDF or EPUB format to the device, free to rename or delete them. Edit the ID3 info (name, artist, year, album and others) of several files at one time to manage and group your music files. Play iPhone videos/music and DVD movies in the built-in resizable player. Delete, create or edit iPhone playlists via Xilisoft iPhone Magic for Mac simply. Quick Search and Filter functions help you find the video, music or photo file you want promptly. View your music, movies, and photos files in multiple view modes: Song, Albums, Artists, Genres, Composers modes for music; Movies and Genres modes for movie files; Photos and Albums view modes for photo files. Comment on the iPhone music and movie files with different ratings to mark them. Import and export contacts to get rid of trouble of losing important contacts information.